Here we are in winter… holiday time has passed and perhaps the seasonal blues are starting to kick in. You need a winter pick me up! It’s nothing some good eats and drinks can’t fix, it’s Winter Party time! 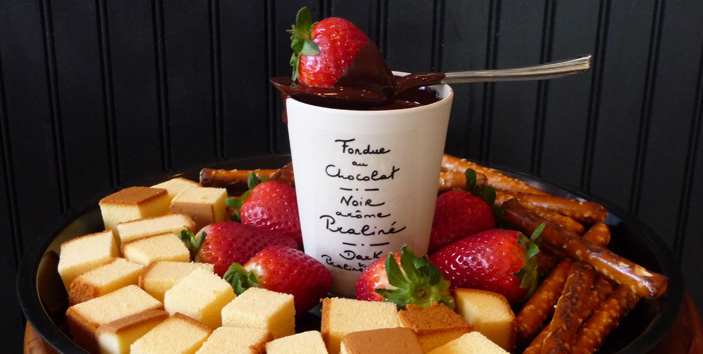 How about a fondue party? Think warm yummy cheese or chocolate with a variety of sweet and savory dippers. For a classic fondue station, combine Emmentaler and Gruyère cheeses for a traditional first course guaranteeing a rich cheesy dip. Add fresh garlic to spice it up. For your other courses, dip mini pretzel rolls into a homemade beer cheese fondue, an unexpected but delicious mix of flavors guaranteed to make your guests’ mouths water. Finally, for dessert, dip fresh strawberries, bananas and marshmallows into a semi-sweet chocolatey dip over the same fondue flame. Looking for a theme for your Winter Party? Think Winter Wonderland, Fire & Ice, an Après Ski soirée. Focus on warm, comforting dishes like small soup sippers served in little mugs, hearty breads, winter greens salad, bread pudding with warm bourbon sauce. Serving hot, uplifting dishes highlighted with citrus to brighten the mood will leave your guests satisfied and warm. Serve classic winter libations like cranberry mimosas, Rumchata hot cocoa, and Bourbon on the rocks. 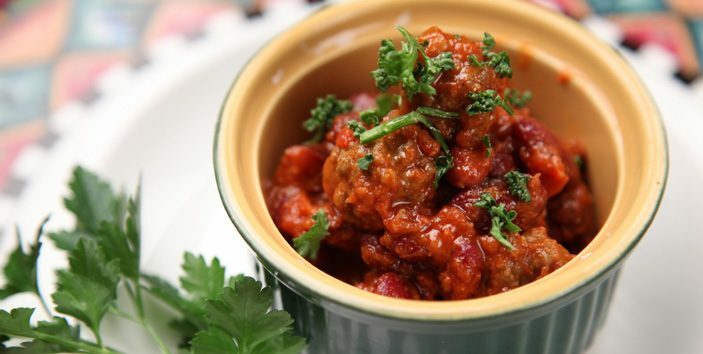 Slow-cooked black bean chili con carne will be sure to warm the crowd – throw together some red peppers, meat, tomatoes and beans into your crock pot. Let it simmer all day, and season it heavily with garlic, onions, and cumin for a spicy stew. Don’t let the task of throwing a winter party overwhelm you. Stay warm inside and let Paul Evans Catering and Delivered Parties get the job done. Paul Evans Delivered Parties are the antidote for the winter blues. We’ll deliver the whole party to your door, you just provide the cozy environment and warm home for your guests. Just another reason to celebrate with those you love.